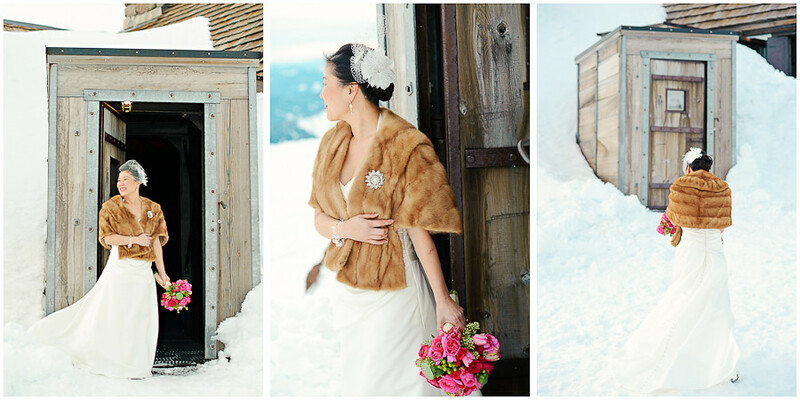 It’s full-on Spring here in Portland, but there is still plenty of snow up in the mountains and we have a few more white winter weddings to blog! 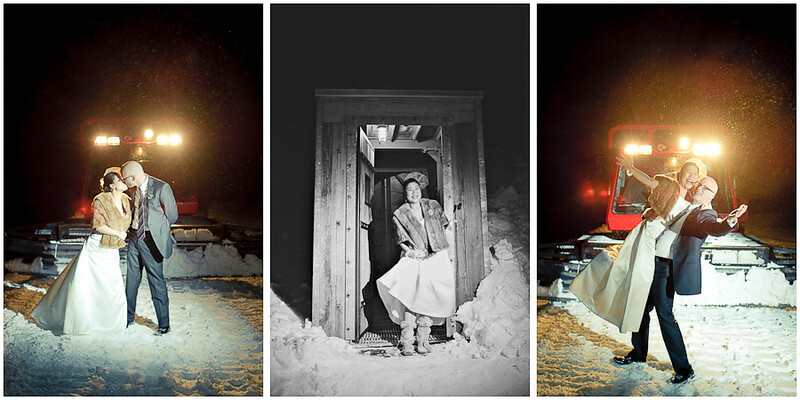 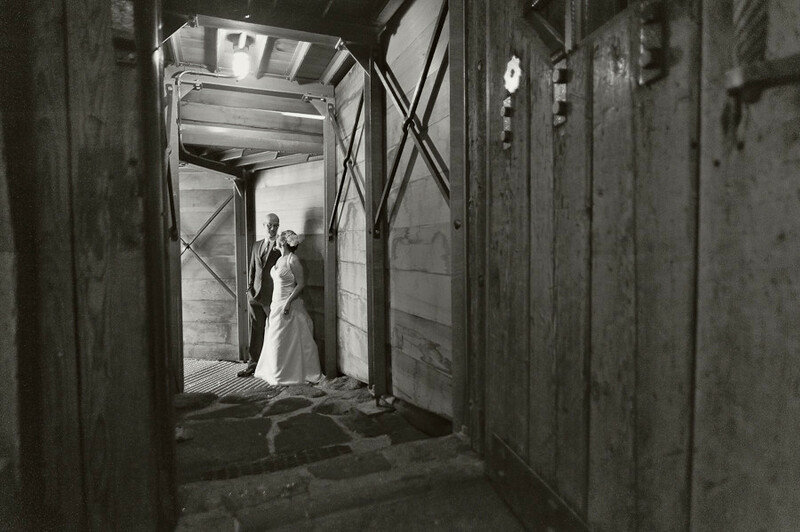 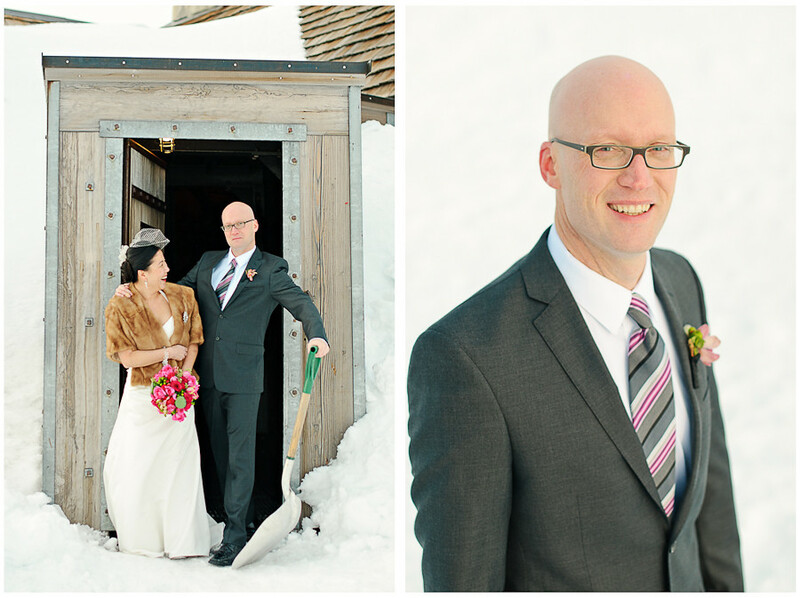 In February, we had the honor of photographing Kim & Dan’s wedding at the Silcox Hut above Mt. 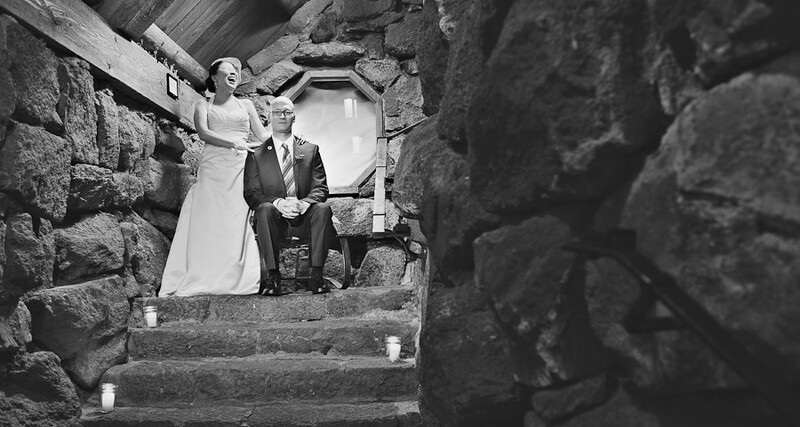 Hood’s Timberline Lodge. 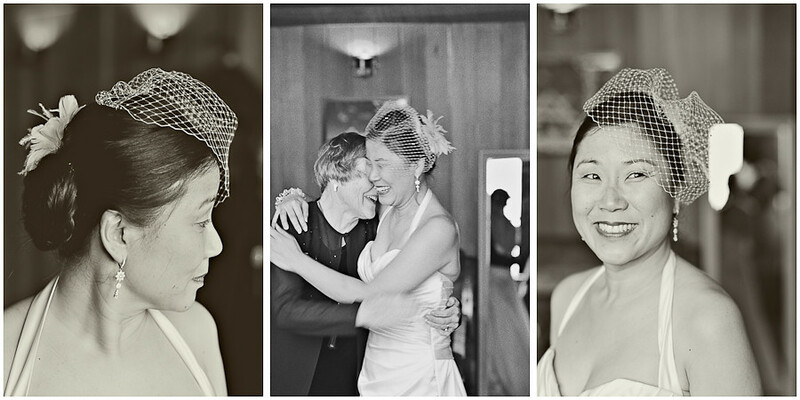 The joy of this ebulliently fun couple is so contagious, we couldn’t help but smile the entire day. 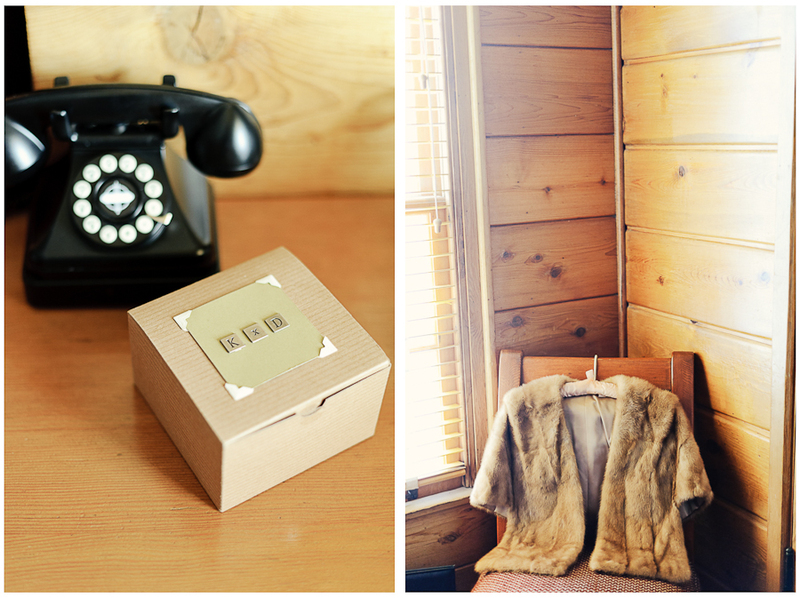 The little details also really shined through from the fondant mushrooms & truffles on the cake to the acorn and squirrel logo accompanied by the saying, “even a blind squirrel finds an acorn sometimes.” (Although, they never did explain which of them is the blind squirrel & which is the acorn…) Truer words have never been spoken, and we are so glad that Kim & Dan found each other and chose us to document this day!